If you are looking for an American Kennel Club (AKC) German Shepherd puppy, you have come to the right place. 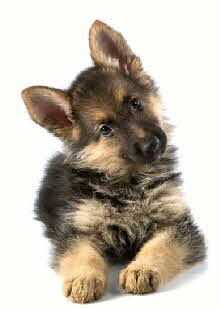 Here at Alpha German Shepherds, we are breeders of quality German Shepherd puppies. We breed Champion sires to our females so you get a puppy with Championship potential. Check out the Puppies Available page for pictures of our current German Shepherd puppies for sale. We have more than one litter planned, so check back soon. We will list our puppies for sale as soon as they are whelped. We only have purebred German Shepherd puppies that are registered with the AKC. 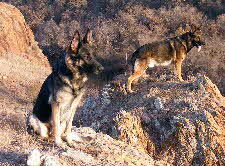 We hope you'll enjoy visiting and sharing our love for the German Shepherd breed. Being a reputable breeder of AKC registered German Shepherd puppies, you can count on getting the quality of puppy you are looking for. We are so confident in our breeding program we can offer a written hip and health guarantee for your new puppy, so you can rest assured you are getting one of the finest puppies available. We really enjoy being a breeder of German Shepherd puppies, and it shows in the quality of our puppies. We are located in Appleton Wisconsin. Feel free to contact us with any questions you may have regarding the purchase of your new German Shepherd puppy from Alpha German Shepherds. Because of our shipping program we have puppies in over 28 States, as well as Canada, and can ship to any of the 48 contiguous States. 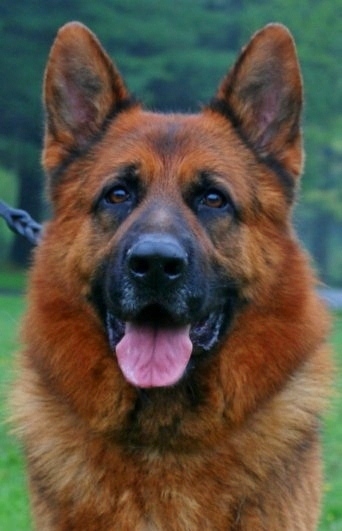 Our mission, at Alpha German Shepherds, is to breed only the finest German Shepherds for you. Whether you are looking for a show dog, breeding dog, a working dog, or even a personal family companion, we have the perfect German Shepherd for you. Here at Alpha German Shepherds, when we mate a pair of German Shepherds, we look for the male that is sure to meet all of our standards. We always use stud dogs that have earned a Championship title and also excel in Schutzhund work. Our females are from championship stock too. 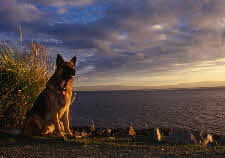 All of our German Shepherds are bred with temperament, trainability and intelligence in mind. We are also a breeder with sound health a primary factor in our breeding requirements. You can rest assured that you are getting one of the finest German Shepherds available when you get your puppy from Alpha German Shepherds.